Die cast metal model Portacabin transporter with Mercedes Benz Actros driver's cab on a long 4-axle chassis. The relocater arm slides forward and back on the chassis, and is raised and lowered by hydraulic pistons. It extends and tilts, allowing precise positioning of the portacabin garage. Front and rear support feet provide the required stability. 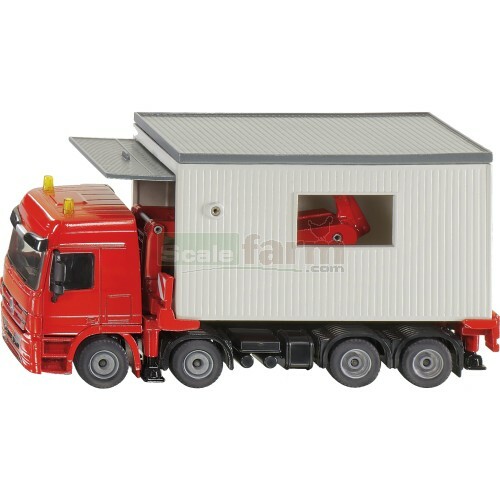 Portacabin garage suitable for Siku miniature die cast vehicles.